You are here: Home 2014 July How to Move Cisco’s Catalyst 6500 to the Nexus 9000? Cisco said that it had an aggressive migration program on tap for customers of its 15-year-old Catalyst 6500 to the new Nexus 9000 data center switch after it launched the Insieme product line last fall. Migrate end-device connection points to the Nexus 9000 DCSS. In the following part, Jim Duffy (He has been covering technology for over 28 years, 23 at Network World. He covers enterprise networking infrastructure, including routers and switches.) shared the main technical analysis and information with examples about this migration from Catalyst 6500s to the Nexus 9000. 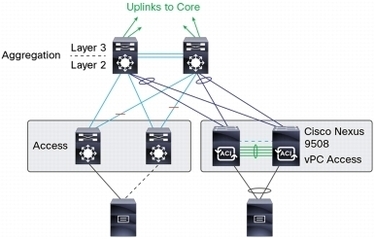 Cisco defines a DCSS as one or many switches of any kind that are interconnected so that they collectively provide Layer 1 through 3 connectivity to servers and Layer 4 through 7 devices, and the applications that connect to them. That DCSS can also include firewall, application control and network analysis services modules in the switch chassis with internal connections to the switch. 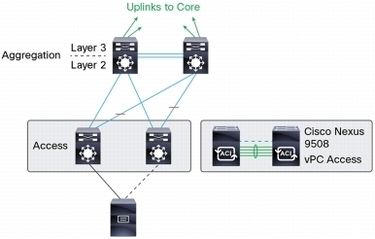 The example migration in the web page is an access layer end-of-row configuration of Catalyst 6500s to an end-of-row (EoR) configuration of Nexus 9508 switches populated with 48-port 1/10Gbps cards. 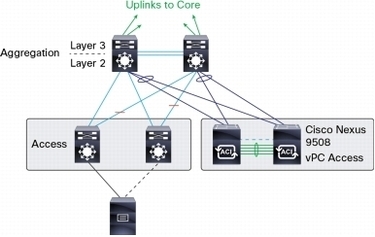 In planning and building the Nexus 9508 DCSS, some of the considerations are facilities for the deployment–power, cooling, rackspace, server and interswitch cabling; interoperability with VLANs, VRF instances, default gateways, security policies and ACLs; capacity planning, including east-west and north-south traffic patterns, and oversubscription; availability and failover; interoperability of protocol optimizations and new features, including Spanning Tree, IGP, EGP, multicast, QoS, classification and marking, and policing; and Layer 2 and 3 data center interconnection. Cisco recommends using the Nexus Migration Tool to migrate common configurations from the Catalyst 6500 to the Nexus 9508 to specify the Nexus DCSS global system management configuration. Cisco also recommends establishing a virtual port channel (vPC) on the Nexus 9508 DCSS to allows links that are physically connected to two different switches to appear as a single port channel to a third device. 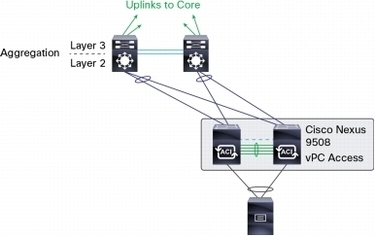 A vPC can provide Layer 2 multipathing for redundancy, enabling multiple parallel paths between nodes and load-balancing traffic where alternative paths exist, the migration document states. Now that the Nexus 9508 DCSS is built it’s time to interconnect the existing Catalyst 6500 DCSS. Considerations necessary for this include interoperability of Spanning Tree protocol implementations, and segmentation and security policies. The Nexus 9508 supports Rapid PVST+ and Multiple Spanning Tree. Rapid PVST+ is backward compatible with Spanning Tree but it is difficult to convert all data center switches at the same time to Rapid PVST+ so a phased implementation is necessary, the document states. Current Catalyst 6500 aggregation switches can remain as Spanning Tree root switches as well as run the First Hop Redundancy Protocol for default gateway duty. For segmentation and security policy migration, Cisco recommends use of the Nexus Migration Tool to move application- and security-specific VLANs, VRF instances and ACLs for segmentation from the Catalyst 6500 DCSS to the Nexus 9508 DCSS for configuration on that system. Other considerations are Nexus 9508-specific features such as unicast, multicast, QoS, and VXLAN capabilities to be deployed according to application and business requirements. Once these connections have been established, the third and last step is server and end device connectivity. Matching Nexus to Catalyst downlink interface configurations should be straightforward but migrating 100 or more servers might be a change management challenge, the Cisco document cautions. If the server teaming configuration will remain unchanged, then the Nexus Configuration Tool can be used to convert the current Catalyst 6500 configuration to the Nexus 9508 interface configuration, then document states. But if the servers being migrated will use vPC or 10GBaseT, configuration templates will have to be used to manually reconfigure server connectivity. Cisco would not divulge financial incentives for the Catalyst 6500-to-Nexus 9000 technology migration program, such as trade-in pricing, rebates, buybacks, discounts or any other monetary terms. One reseller we spoke with says they are not any more aggressive than any other technology migration incentives.